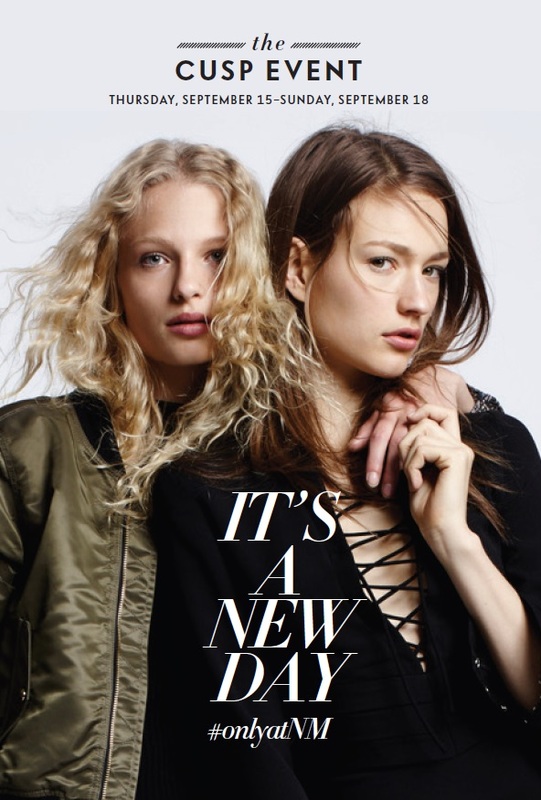 It's fashion month! And you're invited to join me at Neiman Marcus Bellevue on September 15 for a very special trend event and soiree to get you ready for the Fall season ahead! Enjoy sips, beats and bites, and view the latest trends for Fall chosen by local tastemakers! 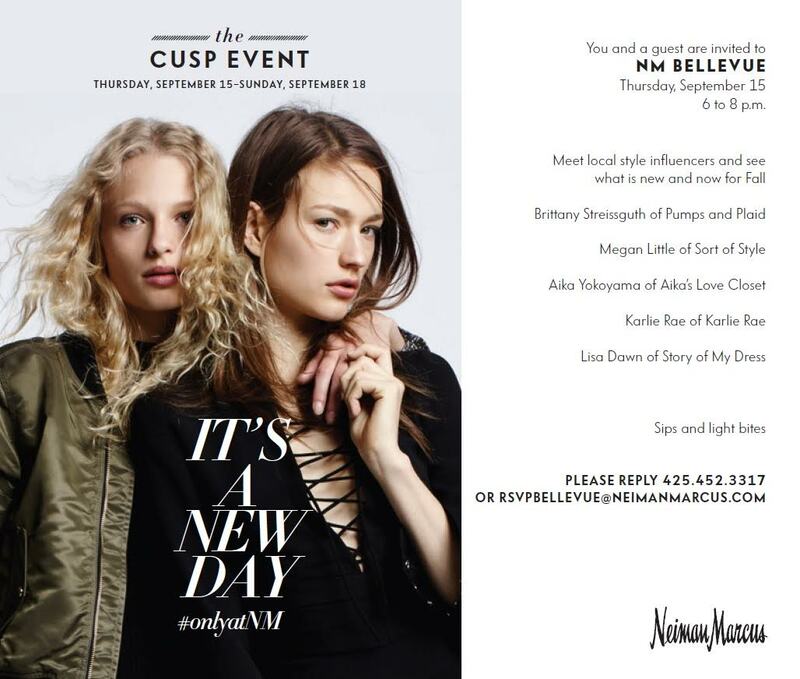 The Neiman Marcus "The CUSP" Trend Event will include a look at seasonal apparel and accessory trends curated by featured tastemakers, swag bags, light bites, music by DJ Mixtress, fashion-forward photo opps, and more! This is one fall event not to miss! Featured fashion influencers include Brittany Streissguth of Pumps & Plaid, Karlie Rae of xxKarlieRae, Megan Little of Sort of Style, Aika Yokoyama of Aika's Love Closet and Lisa Dawn (that's me!) of Story of My Dress. This looks so fun! Love every event at NM!